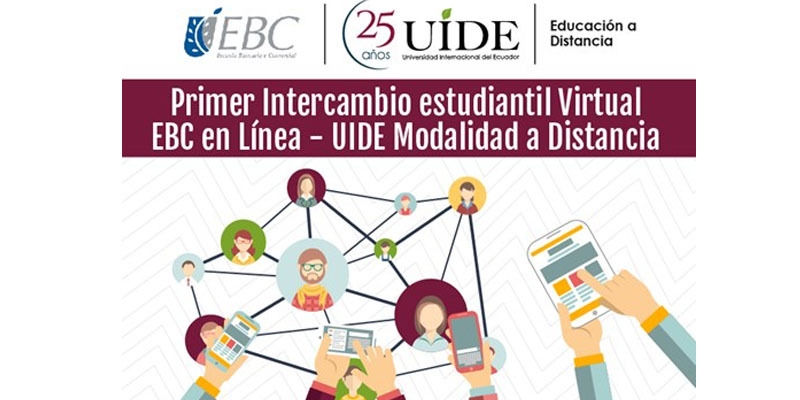 In September, the Escuela Bancaria y Comercial (EBC) in Mexico opened its doors to receive UIDE distance learning students, who can take classes online that can count for academic credit for their UIDE degree program. Classes that can be taken for credit include: Quality and Productivity Management, Human Resources Management, E-business and Negotiation and Conflict Management. Classes will finish at the end of October, and students will receive a certificate that verifies their studies. The agreement with EBC also allows for Mexican students to take online classes at UIDE during the period between semesters. The first cohort finished their classes on September 28 and had a positive experience, and UIDE hopes to receive more EBC virtual students next year. These virtual exchanges are a valuable addition to UIDE’s university internationalization plan, and are a convenient and budget-friendly way to add an international component to students’ education without them having to leave the country. UIDE’s distance learning unit is continuously working to be able to offer students a quality education and unique opportunities that contribute to their academic, personal and professional development.